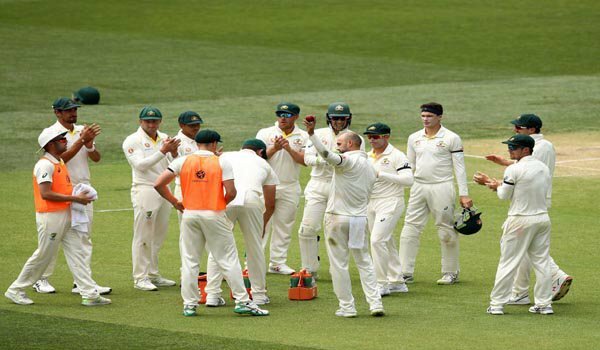 Adelaide: India set 323 runs target for Australia on the fourth day in first Test match of the four-match series here at Adelaide Oval on Sunday. India bowled out for 307 runs in their second innings. The visitors had scored 350 runs in their first innings. In reply, Australia scored 335 runs; giving India a 15 runs lead. India resumed their innings at 151/3. Ajinkya Rahane (70) and Cheteshwar Pujara (71) helped India to put 307 runs on the board. Indian lost their last 5 wickets for 28 runs; last four wickets could add just four runs.